Contact ABL-Network Solutions, Inc - Fiber optic contractor. Need to improve your network speed, want security system or simply want a new telecommunication contractor in Florida? Contact us now! 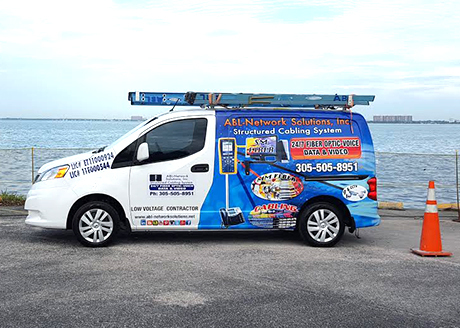 ABL-Network Solutions telecommunication services provider is a Company located in the center of Miami Dade County, Florida. For your convenience, our location is close to all areas to satisfy our costumers with Fiber cabling installation , cabling infrastructure for the best and fastest services. Customer services and support is the most important of our business, and we want to be there for all your needs. Feel free to submit the form below for any questions or comments you may have or call us to our office number below, we are here to help. Thanks for taking the time to send any request to us, or any feedback for our site. We are a fiber optic contractor services and repair. ABL Network Solution is a fiber optic contractor and repair that offers you fiber optic installations, phone system installations, voice and data cabling, surveillance camera system, TV set up and network structured wiring system. Telecommunications Infrastructure in Miami Dade, Broward, Keys, Florida.